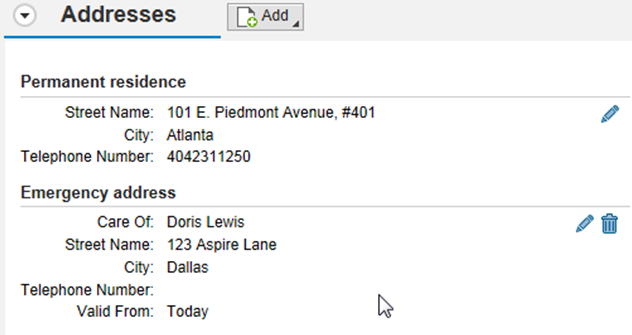 In this blog, I will give you the quick and dirty on changing the fields shown in the main ESS Personal Profile “BizCards.” BizCards are the infotype-specific overview cards shown in the main screen. Our journey begins with a user action and the need for immediate satisfaction. 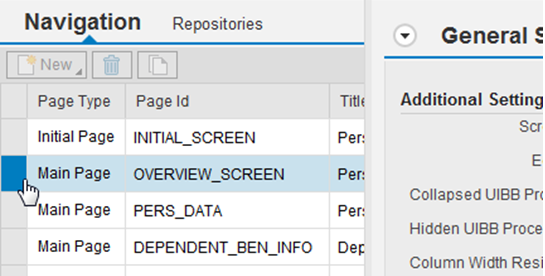 A user enjoys their first days as a new employee entering and updating their own information in SAP Employee Self Services. A quick glance at their Personal Profile can tell them if they need to submit changes by themselves or to an HR Admin for correction. 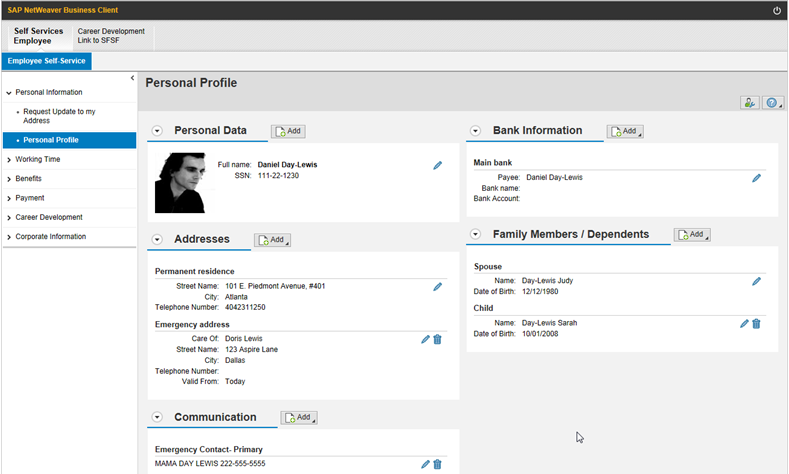 The BizCards shown in an employee’s Personal Profile provide a quick view for anyone authorized to see their information and find the right information quickly. “Hi, I’m D. Day-Lewis and I’m here to enter my ESS emergency contact information as part of my onboarding process as a new hire at AspireHR!” he says talking to only himself and the glowing screen in front of him. “When I enter my emergency contact info, it’s as easy as pie!” he exclaims. Mr. Lewis has multiple Emergency Contacts, some even at the same address but different telephone numbers. Let’s fix that for Mr. Lewis and all our other valued employees! 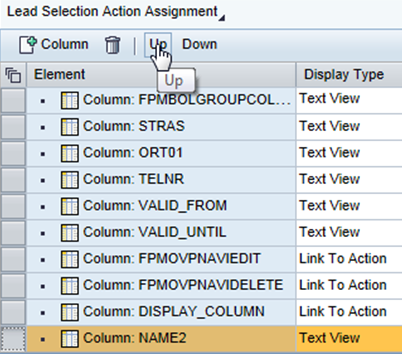 Create a Z* Configuration ID and Continue in Change Mode. 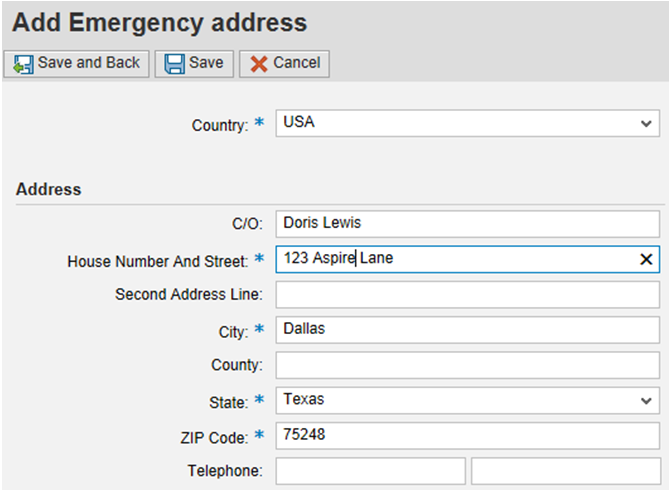 Select the box for HRESS_CC_PER_OVR_ADDRESS_XX. Click on the Configuration button (Wrench). Create a new Transport based on new Customizing for this object. Enter the fields you need to add to the Overview screen or remove what you don’t. Reorder by moving up and down. 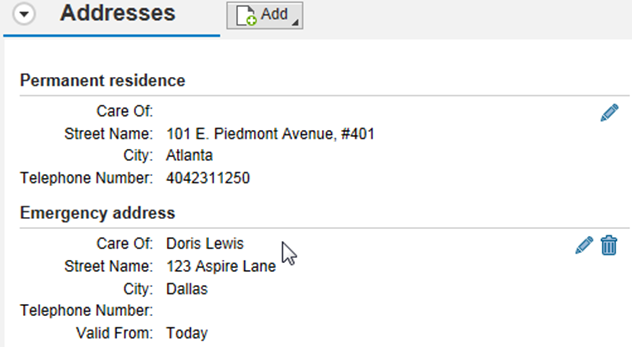 One side effect of this is that the NAME2 (Care Of) field is now showing for ALL Subtypes in the IT0006 BizCard. Table: V_T588MFPROPC Customer table (V_T588MFPROPS is SAP delivered table). In this example, NAME2 is hidden from IT0006 Subtype 01 (Permanent Address). Save and Add to your BizCard change transport. Now go back and check out your Personal Info Address BizCard! “What a great overview of all my personal information!” he exclaims gratefully. This entry was posted in Talk Techie to Me and tagged BizCard, SAP ESS. Bookmark the permalink.